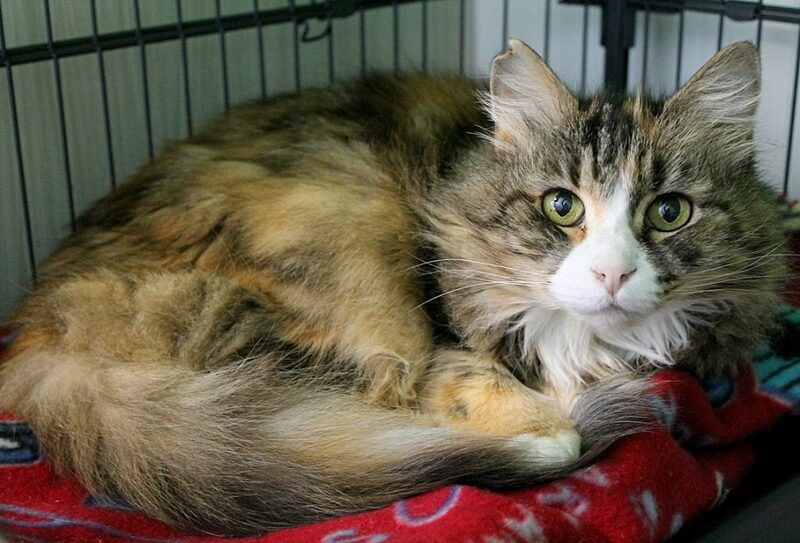 Why hello there — my name is Judy, and I’m a very loving and, as you can see, absolutely beautiful 12-year-old kitty that can’t wait to find a warm lap to lay on through the cold winter months! I came to Pixie after my former owner became ill and unable to care for me any longer, and it is obvious that I knew nothing but love before I came here because people are my favorite and I will never shy away from attention. I’m a mellow girl who prefers reading a good book by the fire, Netflix and chillin’, and lending an ear to good conversation. I’m a quiet girl, but make a great listener! I’m good at keeping my coat nice and tidy and so far don’t seem to be a big shedder. Pixie has already tested my bloodwork and found that I’m in fabulous health, especially for my age! They will provide me with a dental which is all I need, so I’m really a very low-maintenance girl that only needs a cozy place to spend the rest of my days providing love and companionship for whatever lucky person gets to take me home! I definitely prefer to be the only kitty in the home, but will be totally happy living entirely indoors in an apartment setting or larger space — I’m easy! Just come by Pixie to meet me, and you’ll see! I’d absolutely love to meet you. I come to you fixed, vaccinated and micro-chipped for an adoption fee of $80, so let’s get acquainted!